The Schedule provided reservations to six castes, namely, Jat, Jat Sikh, Ror, Bishnoi, Tyagi, Mulla Jat/Muslim Jat, by declaring them as Backward Classes Block ‘C’. This was first challenged before the Punjab and Haryana high court, on the ground that it was contrary to the Supreme Court judgment in Ram Singh and others v Union of India (2015) 4 SCC 697. Schedule III of the 2016 Act was enacted on the basis of the report of Justice K.C.Gupta Commission, which was set up for the identification of the backwardness of classes for the purpose of providing adequate reservation in services and educational institutions for their upliftment. The petitioners had contended before the high court that the Supreme Court did not accept the K.C.Gupta Commission report in the Ram Singh case. After the judgment was passed in the case on March 17, 2015, till the passing of the impugned legislation, no new facts had emerged nor was there any change in the circumstances which would warrant the passing of such legislation, it was argued before the high court. The petitioners argued that reservations made for the Jat community are highly arbitrary inasmuch as they have sufficient and adequate representation in the State services. They also contended that necessary identification of castes that have been given the benefit of reservations have not been carried out. The High Court, however, dismissed the challenge on the ground that such identification can well be carried out at a later stage without the need to invalidate the legislation. “A legislative Act of the legislature is not to be invalidated on the mere asking”, the high court held in its judgment. Relying on Supreme Court’s judgments in Subramanian Swamy v Director, CBI (2014), and Rajbala v State of Haryana (2016), the high court concluded that no ground is made out for invalidating the 2016 Act. However, the High Court had directed the State BC Commission to carry out an exercise to determine the extent of reservation to which the castes in Schedule III would be entitled to and also the quantum of reservation to be provided for them. Till the Commission submits its report, the High Court kept the benefit of reservation in services and in admissions for the BCs in Schedule III in abeyance. In the Supreme Court on Friday, K.Sultan Singh, senior advocate, appeared for the petitioners, Satvir Singh Saini and another, who sought a stay on the high court’s judgment. 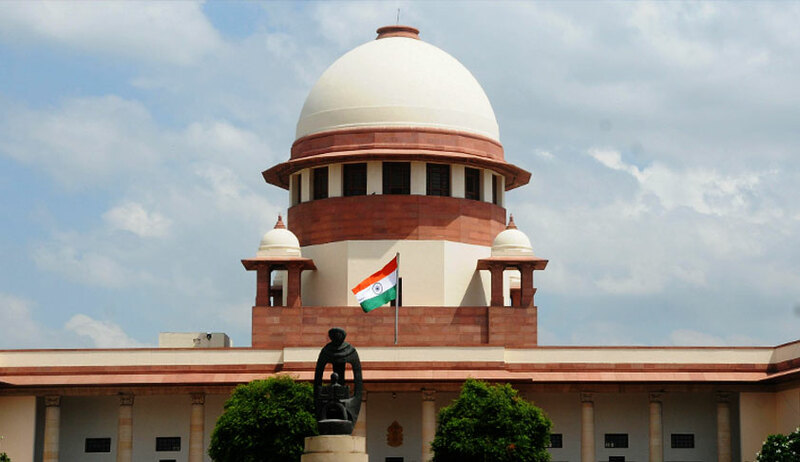 Drawing reference to Paragraph 53 of the Supreme Court’s judgment in Ram Singh case, Singh described the 2016 Act as a “backdoor entry” to implement the K.C.Gupta Commission report, which he claimed, has been rejected by the Supreme Court, and sought a stay on it.